You are here: Home / CritterGuide / CritterGuide / 3. 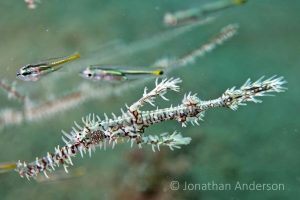 Are Ghost Pipefish scary? No, not really, unless you are an unsuspecting tiny crustacean. 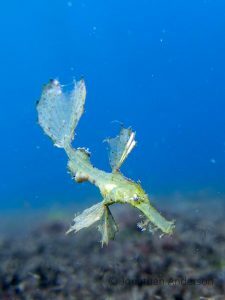 They are cousins of the Seahorse family, and they are very good at hiding in plain view, floating head down, and ambushing the poor little things that make up their diet. 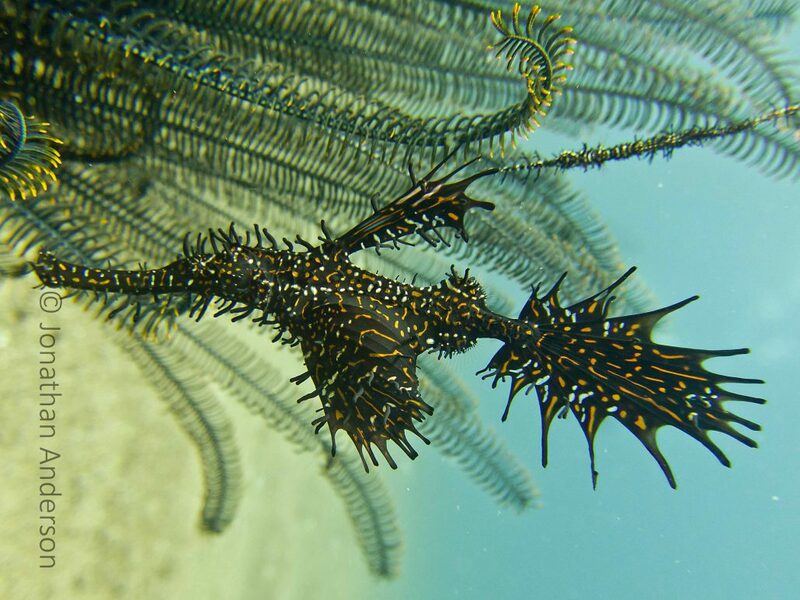 The hairy wisps on the Ornate Ghost Pipefish exactly mimic the Crinoids (feather stars) they inhabit. More research may establish whether the many variations on the classic black and white colouring are the same species, or distinct. 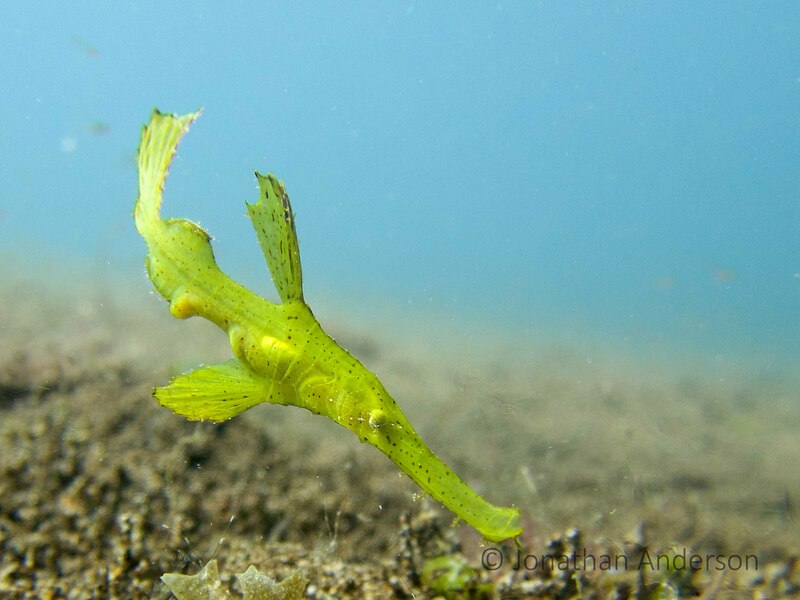 These pipefish like nothing better than to waft along pretending to be decaying leaves or bits of seagrass. 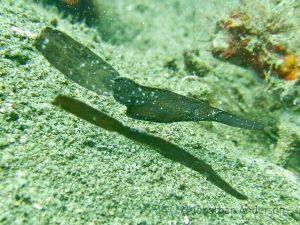 The key to finding them is to approach every unattached leaf on your dive, and if that leaf swims away, it is not a leaf, but very likely one of these guys. 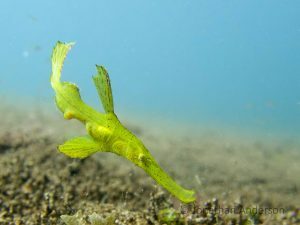 Similar to the Robust Ghost Pipefish, but with whispy appendages and upturned mouth that help them blend in to the seagrass and algae beds they are most commonly found in. 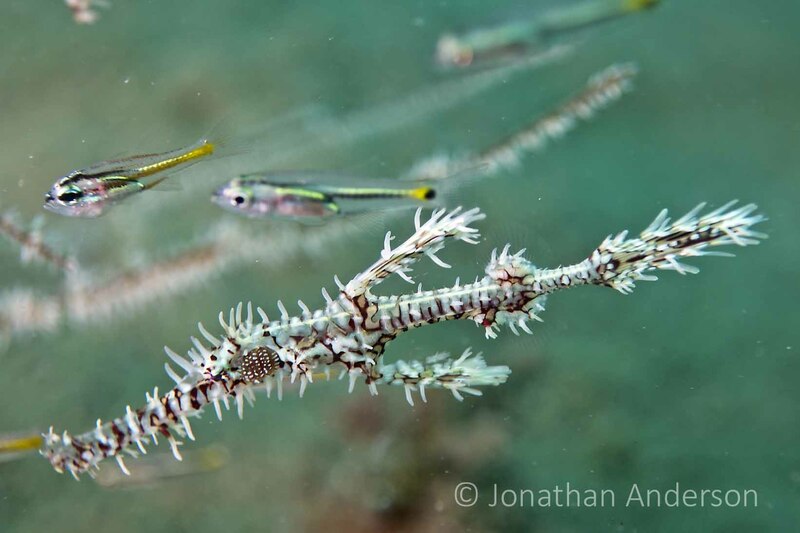 This Pipefish is transparent when very young, and encourages filaments of algae to form to help disguise it. It likes nothing better than to blend into the background and hope nobody notices them. We all know someone like that. 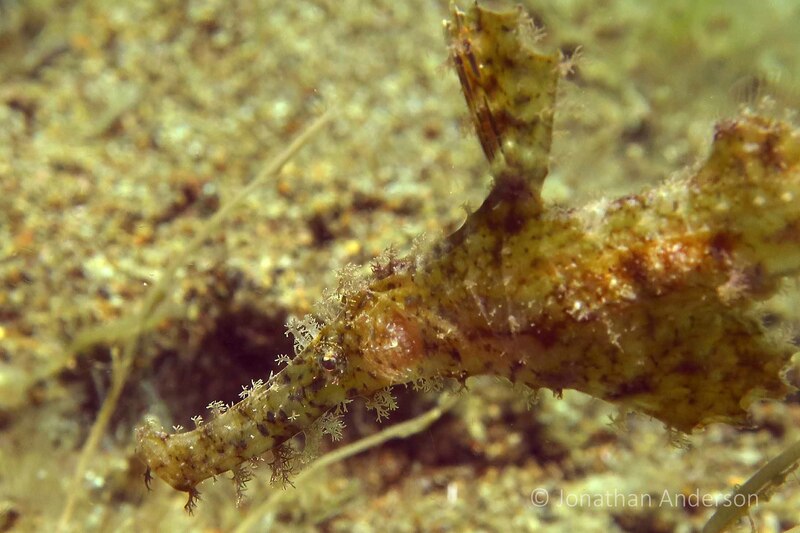 Sometimes you only spot this one by seeing its dinner in its belly! So beautifully and elegantly put, and so glad you had an awesome time exploring the Dauin coast with us 🙂 Keep checking back in for more, we saw some amazing crabs this week, and clocked some rare “Disney” shrimps too….come back soon! 4. Feeling crabby? 2. How do you find a Pygmy Seahorse?